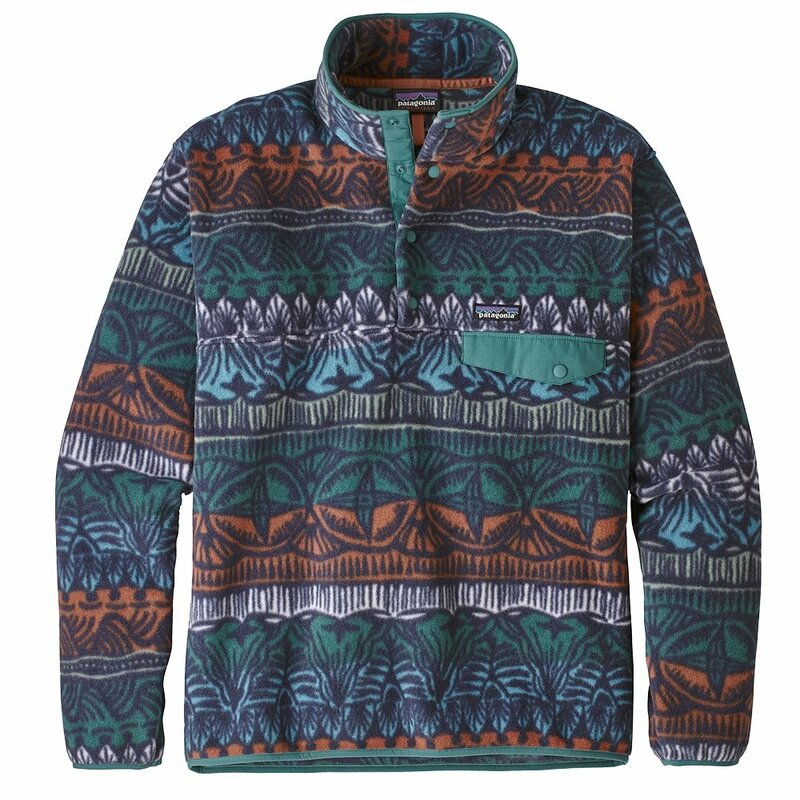 Let Patagonia's Lightweight Synchilla® Snap-T® Pullover give you a break from zippers. This collared fleece uses easy-close, snag-free snaps in place of a zipper. Its midweight polyester fleece offers light, confident warmth in the cold. Y-Joint sleeves improve mobility, making this shirt perfect to wear as an outer or under layer for sport use. A snap-close chest pocket offers onboard storage.